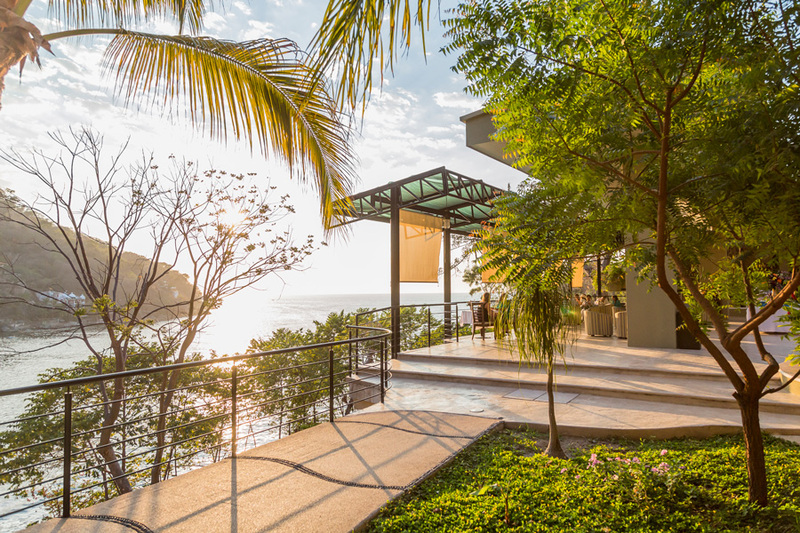 Villa Armonía, an impressive residence overlooking Boca de Tomatlán beach on the Banderas Bay south shore (located approximately 20 minutes from Puerto Vallarta’s downtown), opened officially a few months ago. 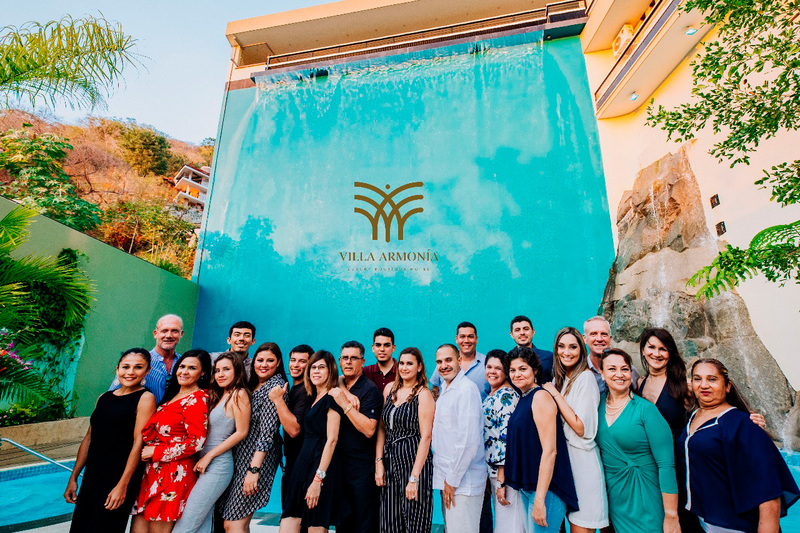 Vallarta Lifestyles attended an open house, where we had exclusive access to this property and learned more about its amenities, featuring beautiful suites, terraces, the in-house restaurant La Mer Bleu, two swimming pools and an amazing 60-foot waterfall. Thanks to its privileged location on the mountain, this residence is multilevel and features an elevator. Upon entering, a classy and sophisticated hall welcomes guests and connects to the hotel’s main area, comprised of a large living room, dining room, kitchen and terraces. 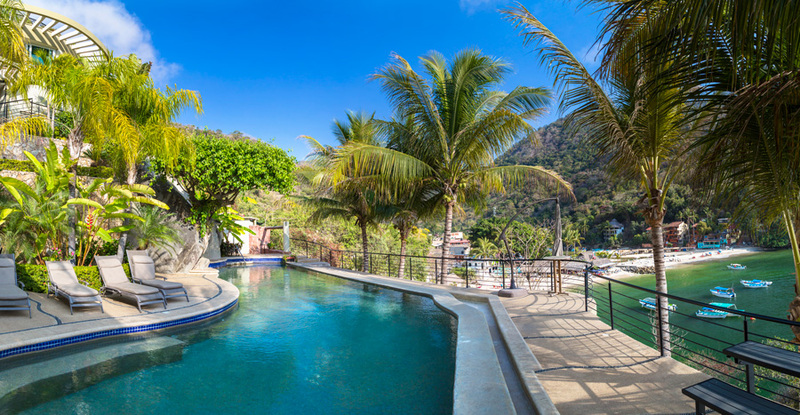 From each point of this common area, guests enjoy the views toward the cove Boca de Tomatlán: its traditional pier, boats and mountains. Each suite at Villa Armonía has its own design and décor, including Italian furniture, sculptures and paintings; resulting as elegant as welcoming. The residence features one- and two-bedroom units, so there are plenty options to choose depending on the accommodation desired. 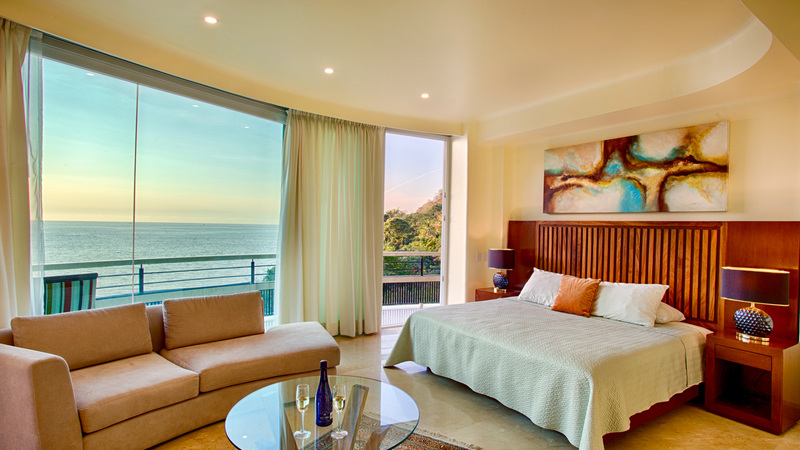 Among the suites, the Grand Master Suite stands out due its size and views toward the coast. Additionally, there are several living rooms and common areas throughout the property, which are perfect to enjoy the natural landscape, reading, relaxing or drinking a glass of wine. Another big attraction at the boutique hotel is the gourmet restaurant La Mer Bleu, which offers delicious seafood and steaks. 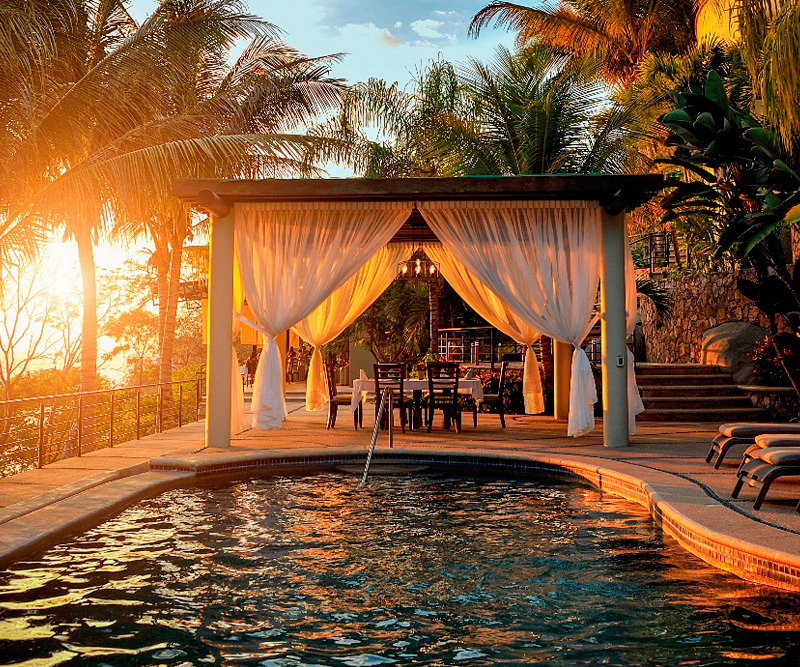 Without a doubt, this is a perfect place to delight the palate and watch the sunset. Near this area, there are two swimming pools: one of them featuring a spectacular waterfall; while the other features sundeck and an adjacent outdoor dining room overlooking the sea. Thanks to its first level amenities, culinary offerings and indoor and outdoor facilities, Villa Armonía is also a good option for weddings. For more information about the hotel and/or reservations, call (322) 356-2534 or (322) 151-9901. Reservations are also available through the platform Airbnb. Guests at the Villa Armonía open house.